Cavity rises slowly in streamer. Loop becomes visible around cavity. Highly structured, loop-shaped (prominence) core appears. Streamer is blown out. Deflections. 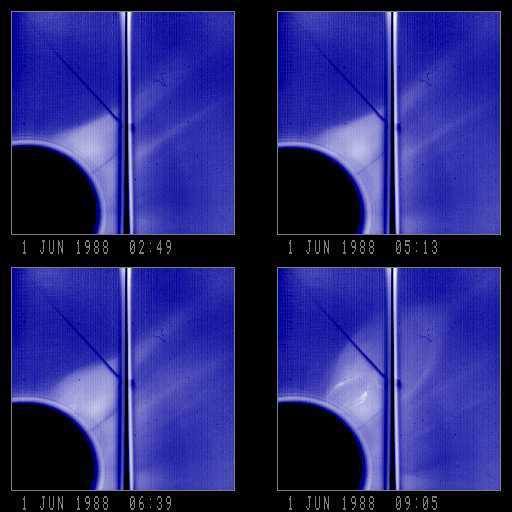 Solar north is toward the upper left in each image.